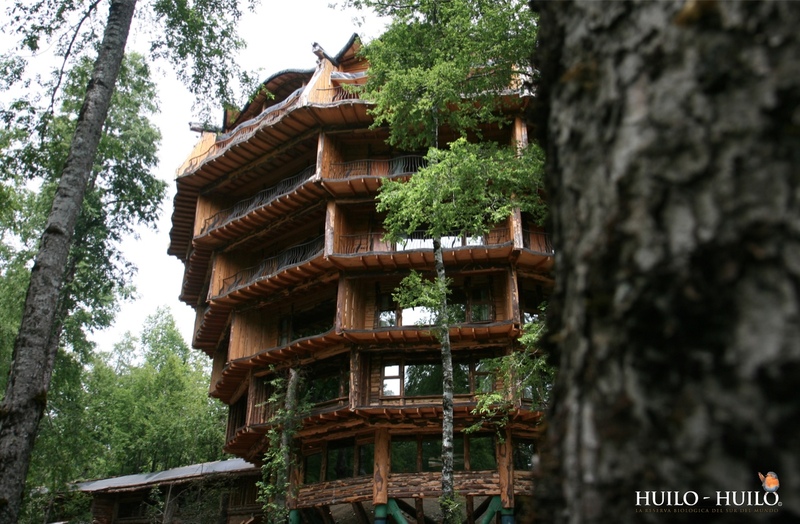 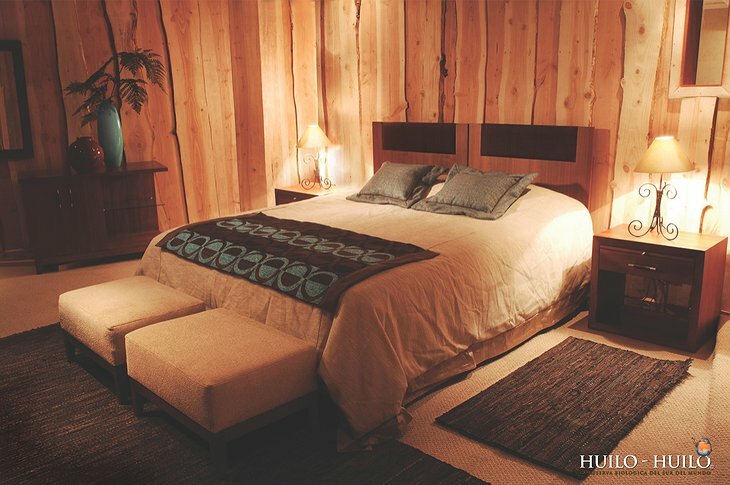 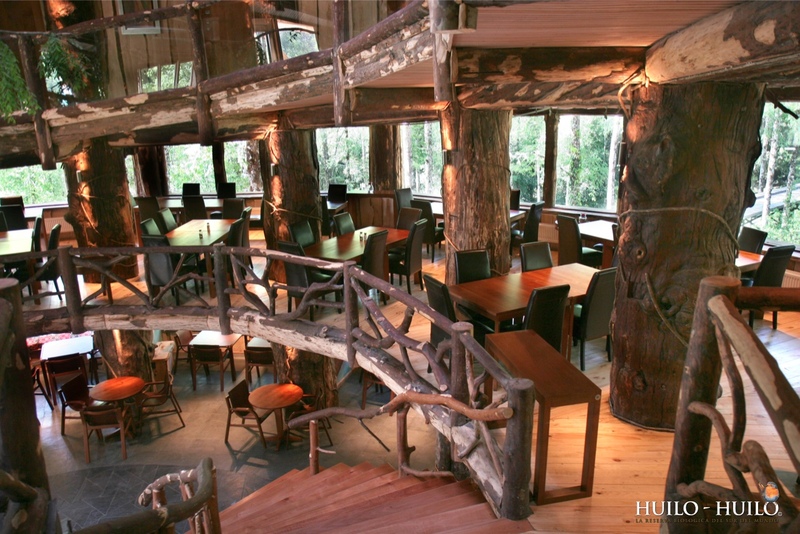 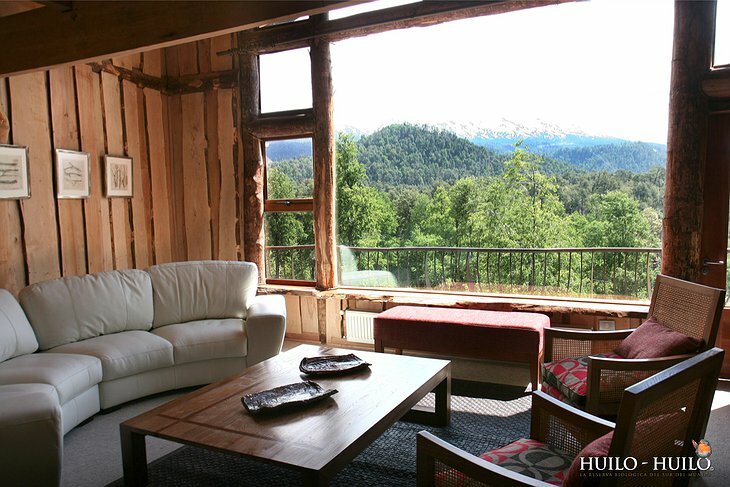 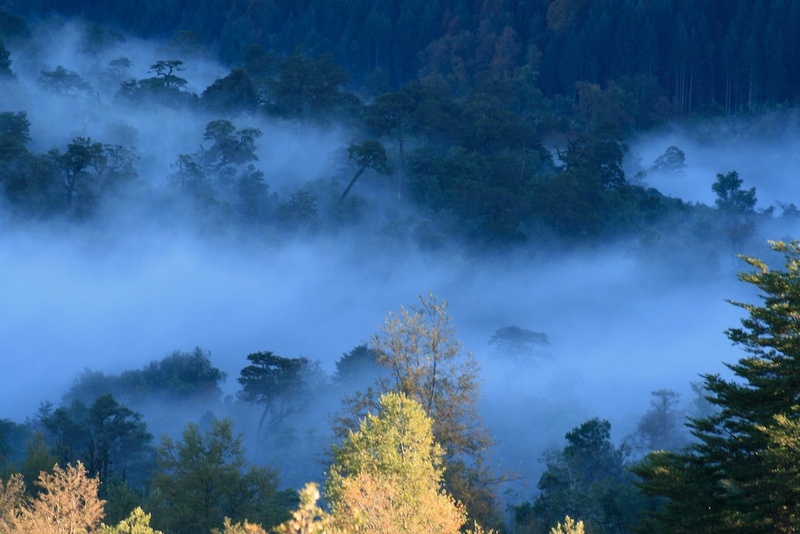 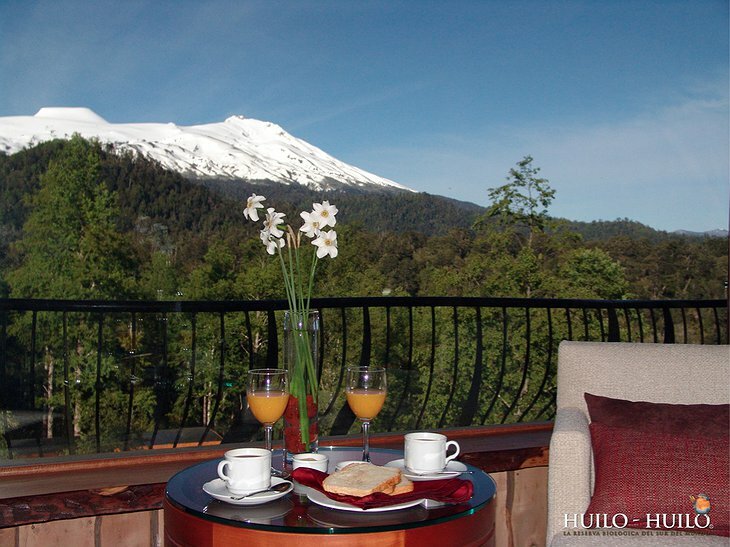 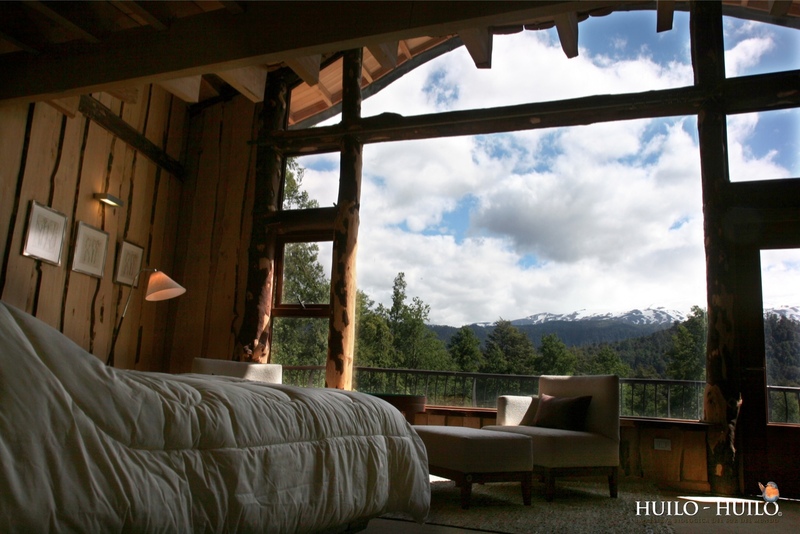 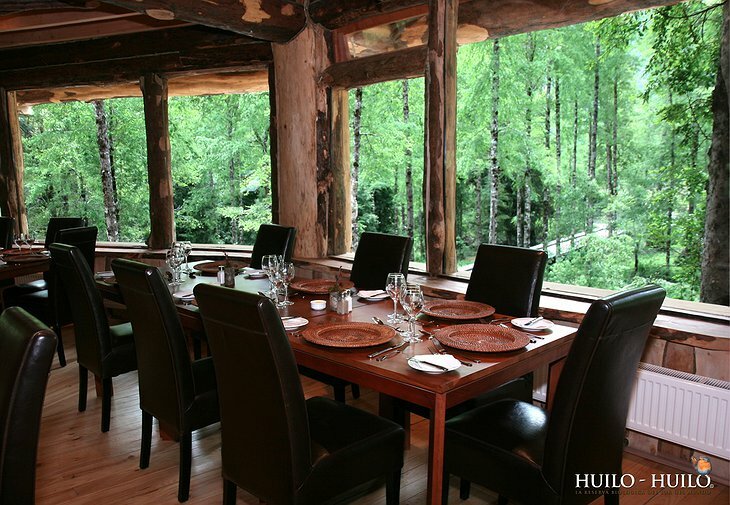 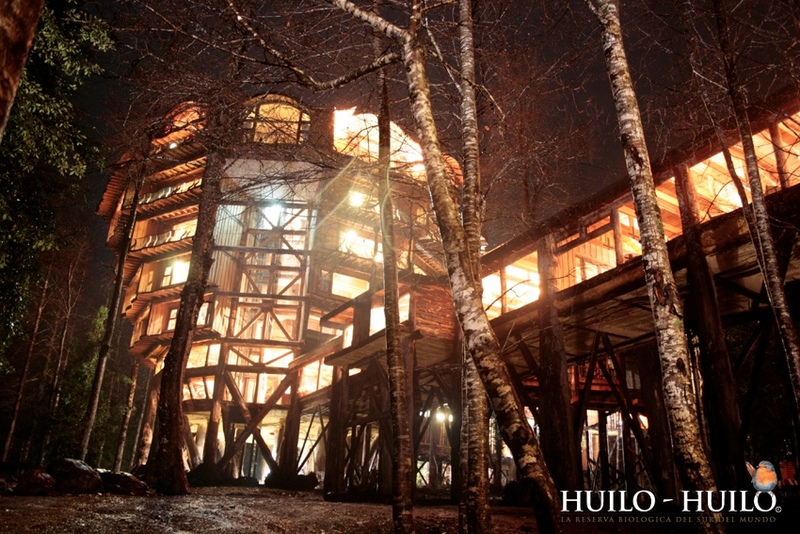 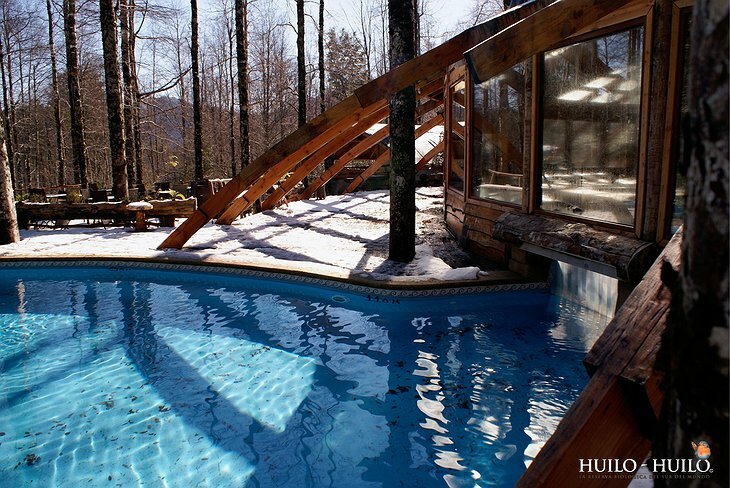 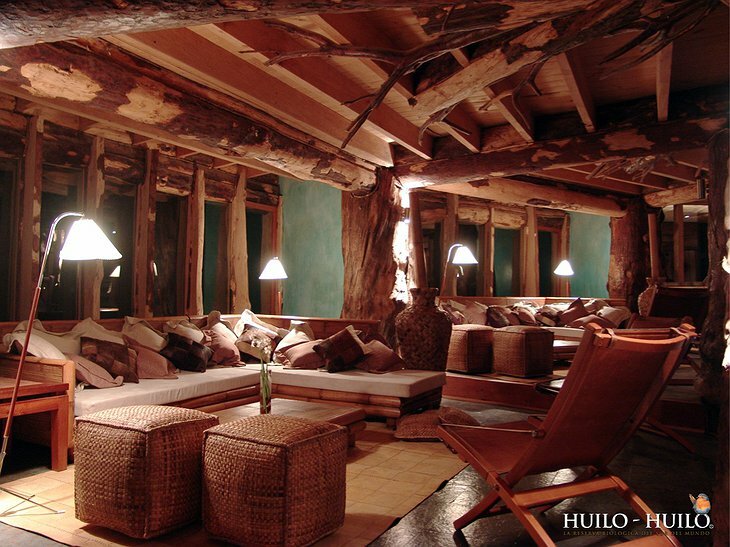 The Huilo Huilo Biological Reserve is 232 square miles of Chilean Rainforest. It was originally part of the Chilean state forestry commission, administered by the Pinochet regime. 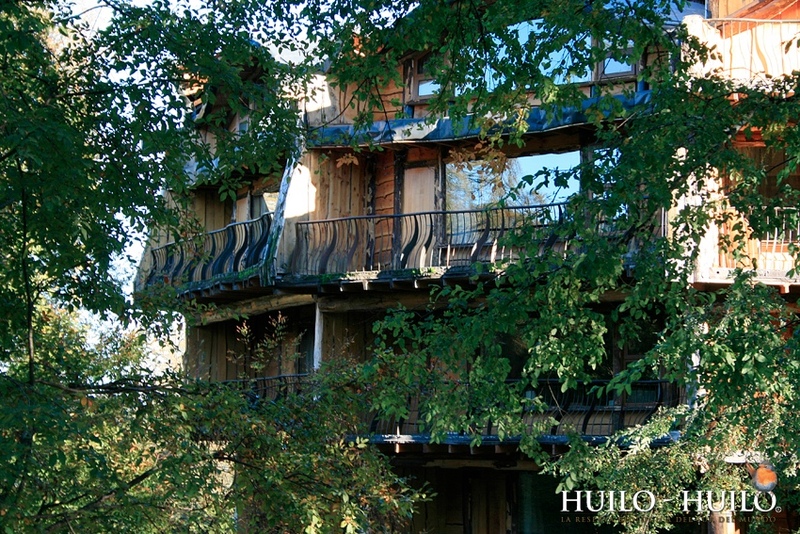 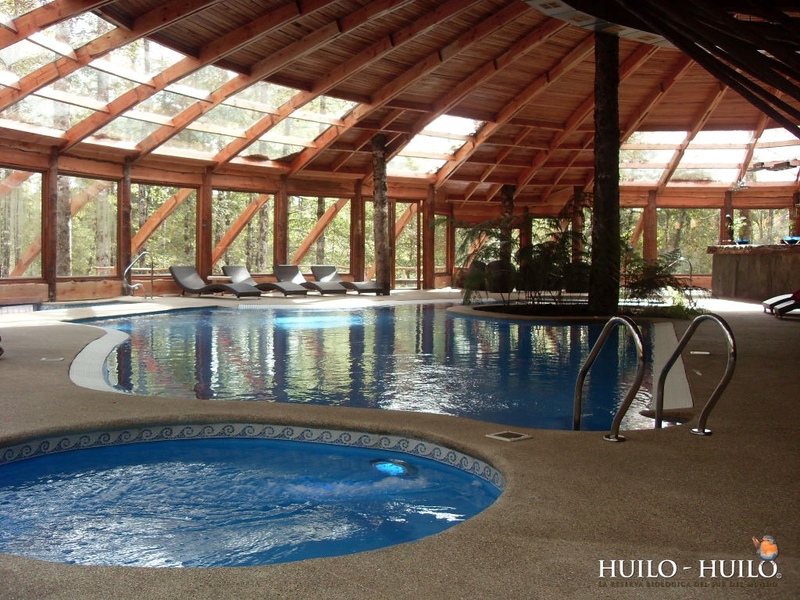 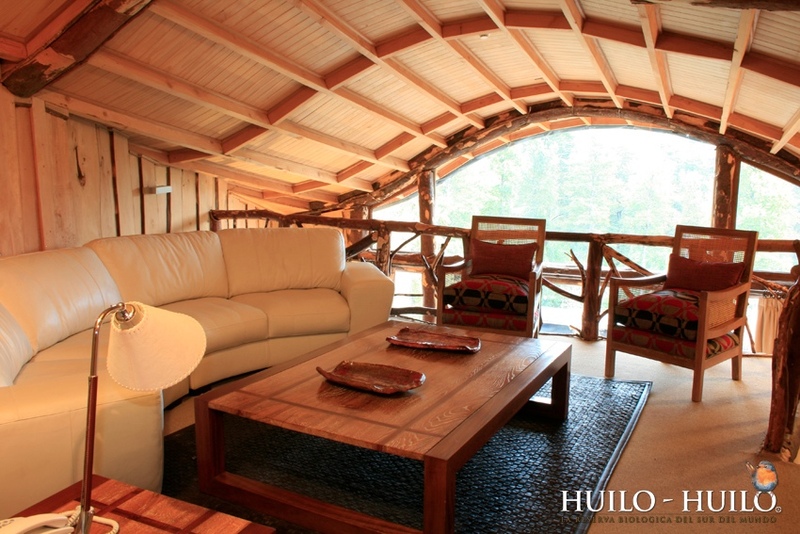 In the 1980s progressive economical thinkers known as the ‘Chicago Boys’ encouraged the state to sell off these assets, the Huilo Huilo reserve was bought by a businessman and is run on a not-for-profit basis to this day. 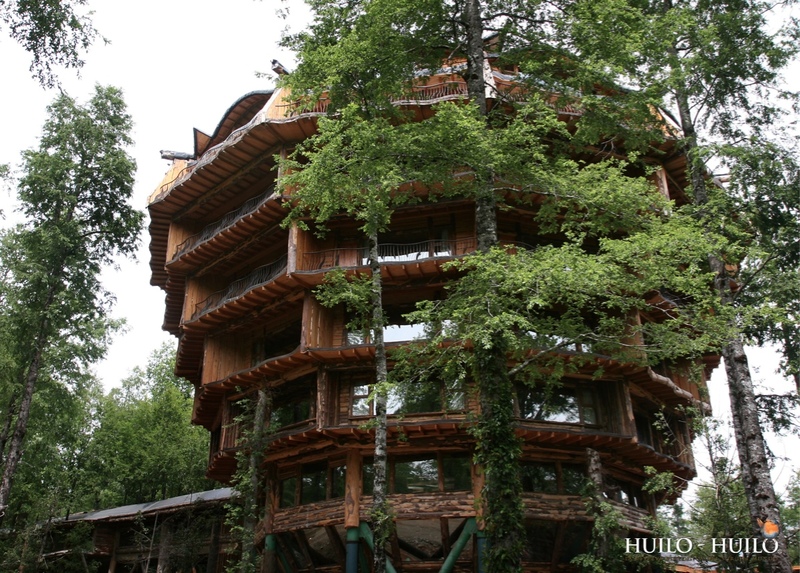 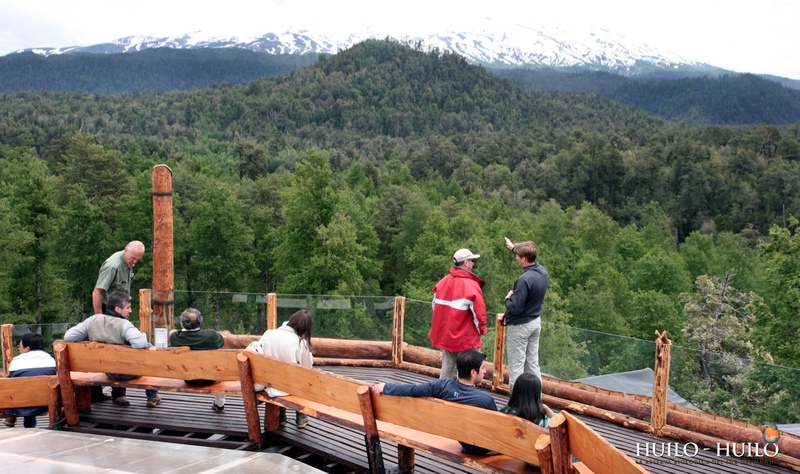 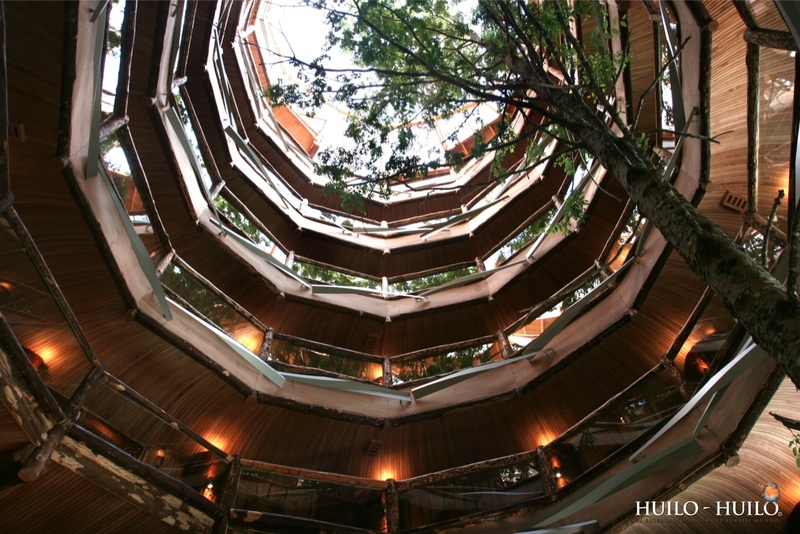 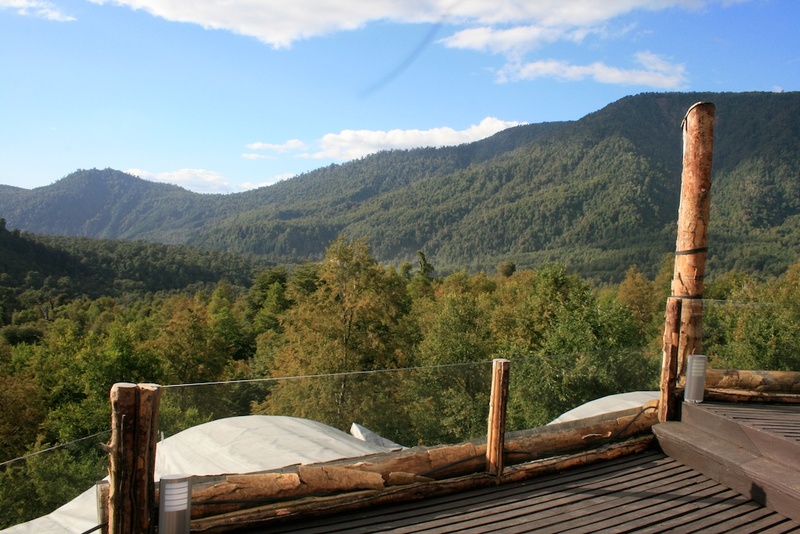 The Hotel Baobab’s wooden structure blends with the natural environment and rises above the treetops so you can see all the way to the Patagonian Andes Mountains. 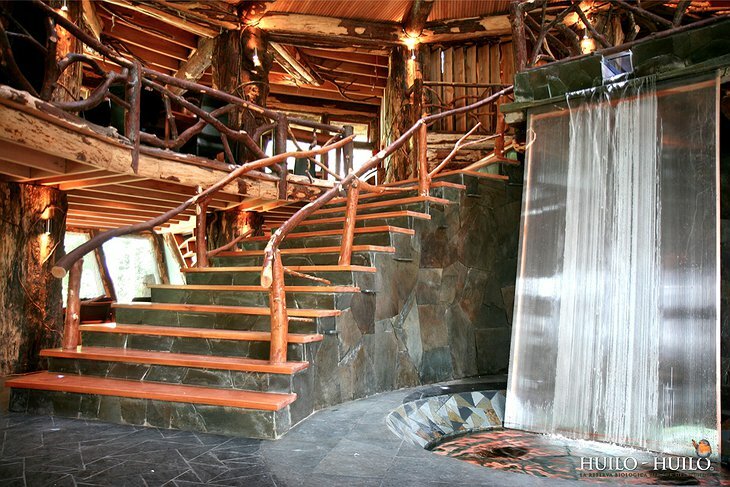 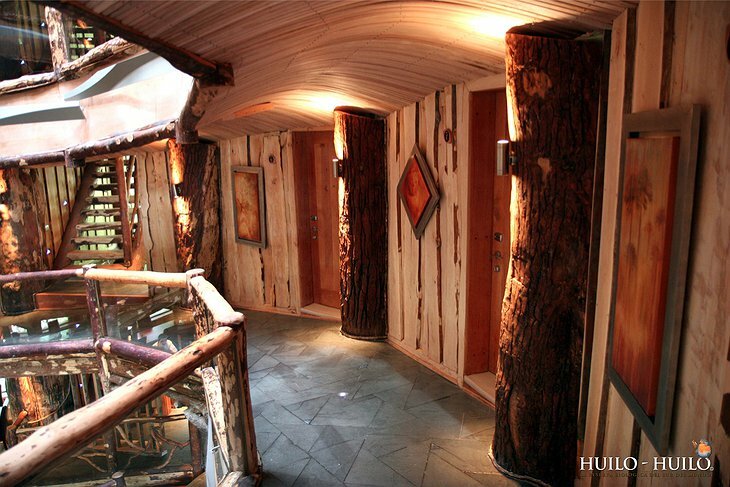 Access to your room is via electric lift or along a ramp that winds around the outside of this unusual structure. 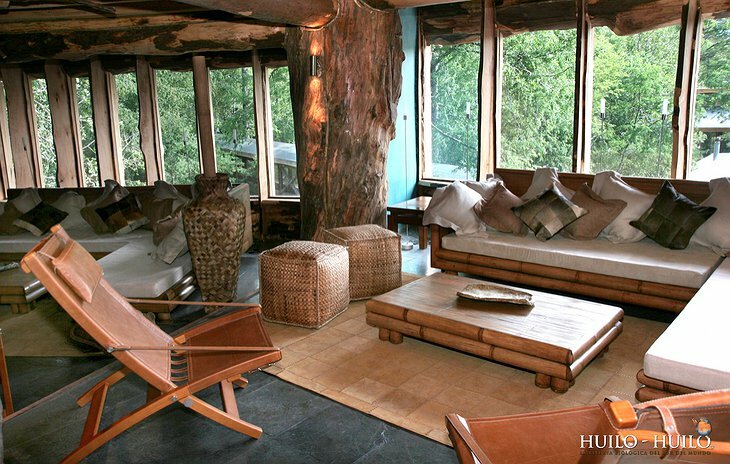 The furnishings are all sourced from local artisans and are a joyful mesh of colors typical of the region. 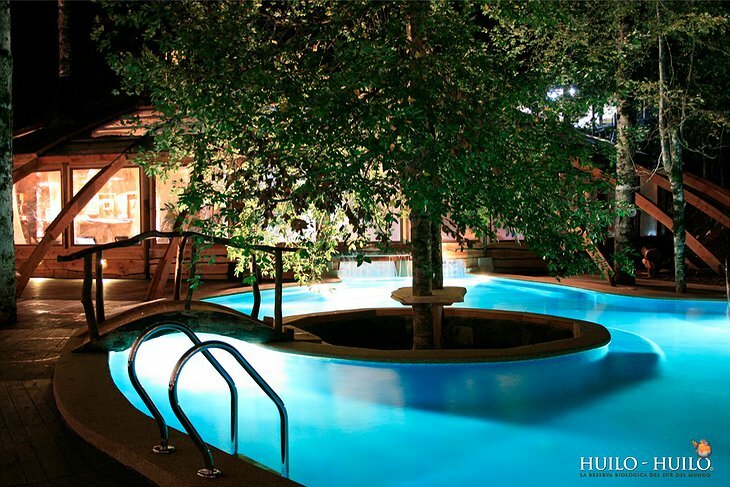 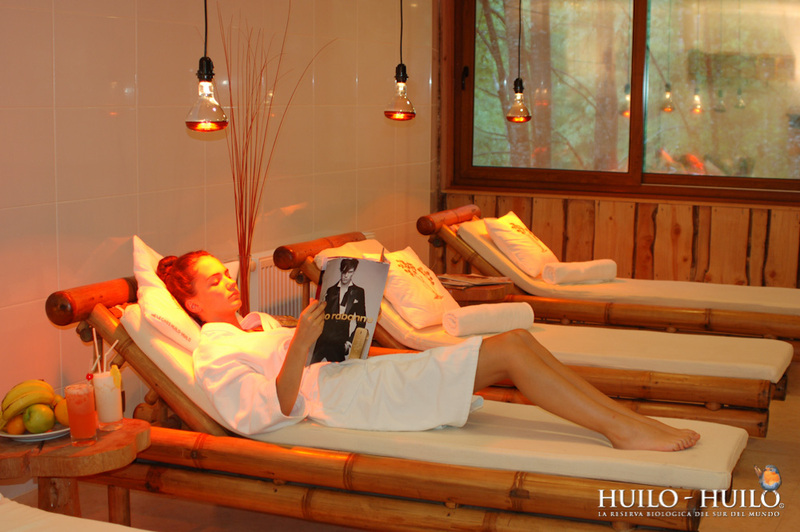 There is a spa with heated pools, Jacuzzis and whirlpools giving you that extra luxury in the jungle. 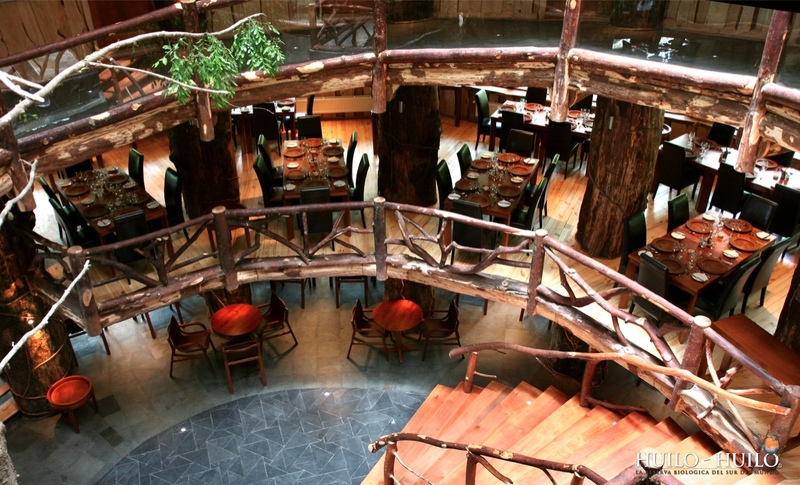 The restaurant serves traditional Chilean delicacies.